Our Riviera all weather wicker table and chair set has the natural look of loom. 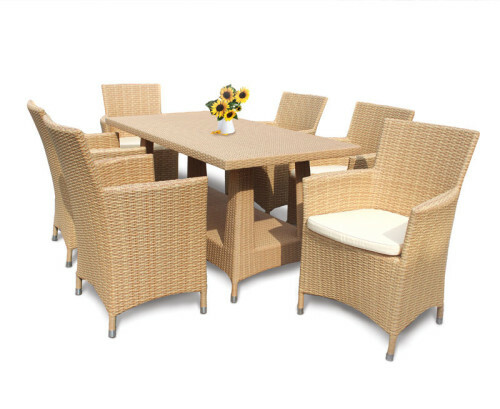 Woven with synthetic Rehau all weather wicker fibre over a sturdy aluminium frame. 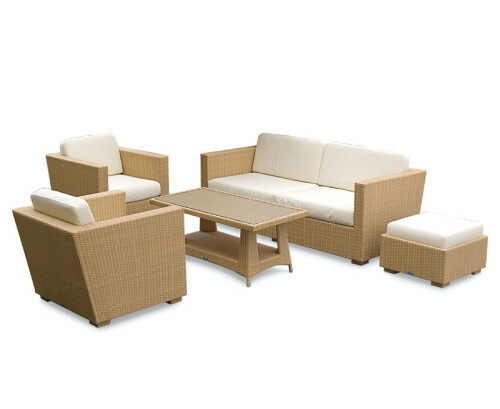 It’s comfortable, stylish and can be left outside year round. 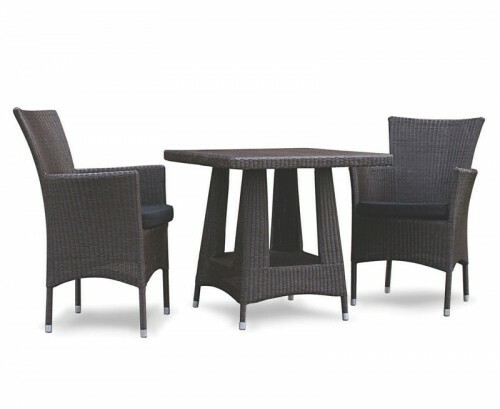 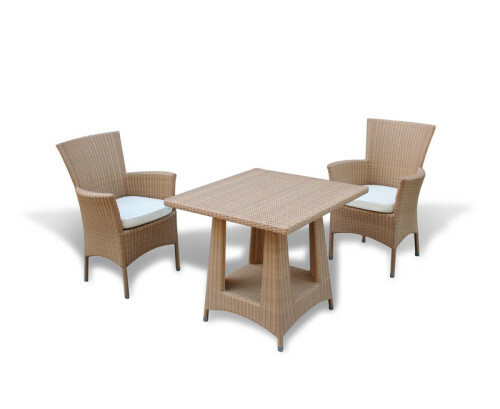 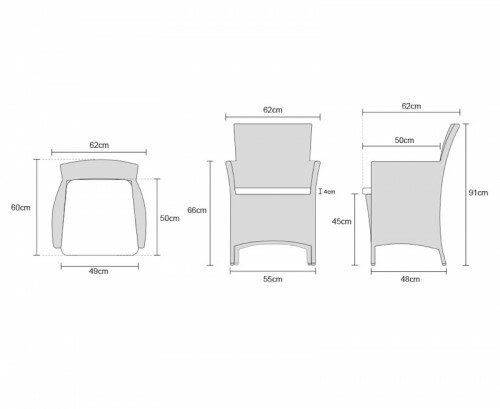 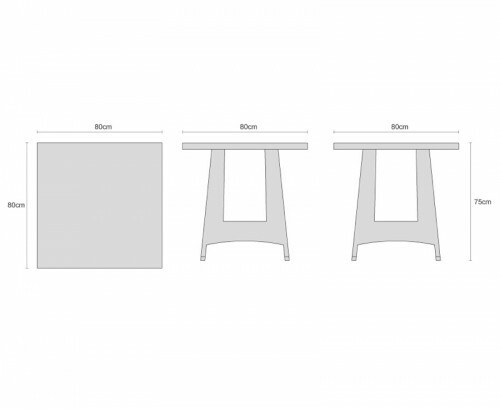 Woven in quality all weather Raucord flat-weave fibre this table and chair set is hardwearing and colourfast. 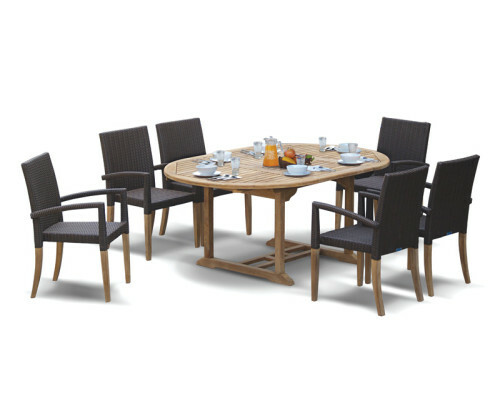 A best buy for discerning homes, bistros, luxury hotels spas and restaurants.